I like cows. I especially like eating cows. But, sometimes, I need some tofu. Look at all the cows in the slaughterhouse yard. Gotta hit’em in the head, gotta hit’em real hard. Throws it on a scale, throws an eyeball in a cup. Now, I have been accused of having an over-active imagination, but that “eyeball in a cup” makes me gag a little. And, even though I was in prime Central Oregon cattle country (only 70 miles east is Les Schwab‘s famous ranch, where he cultivates the cattle that will become the “free beef” for tire sales around the state), I needed a break from beef. That is how I wound up at Soba on the south end of Redmond eating tofu and veggies over rice. Soba started in Bend in 2003, then opened up locations in Salem and Redmond. As I have eaten at all of the locations over the years, I was under the impression it was a larger chain that it is. However, it truly is just the three. The food is essentially cheap, fusion Asian cuisine, with offerings that zag from Thailand to Korea, hitting every major dish in between that is familiar to American palates. When looking for a high quality and/or authentic experience of any of the cuisines accounted for, I would not turn to Soba. However, when trying to identify a moderately healthy, moderately priced and well-sauced lunch, Soba does the trick. 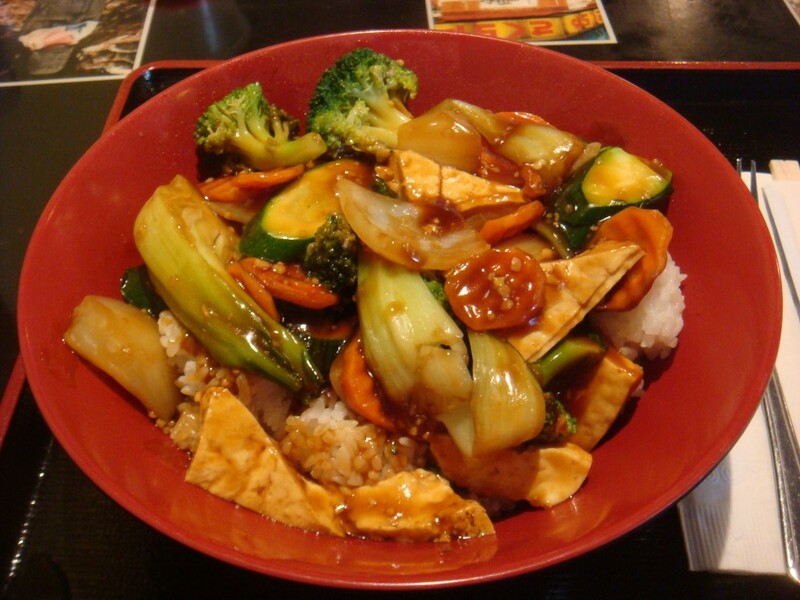 I generally stick to their rice bowls, which feature lean meats or tofu and plenty of vegetables. And, when I am taking a break from eating cows in a place dominated by ranching, Soba is a welcome relief.